Group Volunteer Registration Volunteer Campaign for Habitat for Humanity of Hillsborough County FL, Inc. 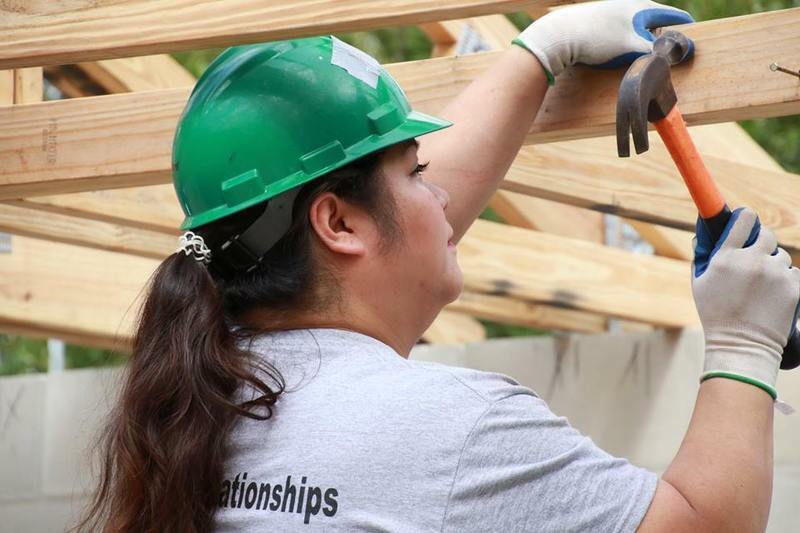 The group volunteer registration page for Habitat for Humanity of Hillsborough County FL, Inc. If you are registering for a scheduled volunteer day with your company, school, faith organization, or group... you are in the right place! Please click on the VOLUNTEER REGISTRATION button to complete the registration process. For ReStore volunteer opportunities, please click on the ReStore location you prefer. We look forward to seeing you on the build site or ReStore soon! Our East Hillsborough ReStore is open Monday - Saturday from 9 a.m. to 5 p.m. Volunteer groups are welcome to pick the morning shift (9 a.m. - 1 p.m.) or the afternoon shift (1 p.m. - 5 p.m.). Our Silvermill ReStore is open Tuesday - Saturday from 9:30 a.m. to 5:30 p.m. Volunteer groups are welcome to pick the morning shift (9:30 a.m. - 1:30 p.m.) or the afternoon shift (1:30 p.m. - 5:30 p.m.). Water or Coffee - There will be water provided on site, but bringing your own water is always a good idea. It is very important to stay hydrated. Please feel free to bring additional beverages, such as coffee, with you to the work site. Hat and Sunscreen - Most volunteers will be working outside for most of the day (if not the entire day). You will need to protect your neck and face from sunburn. Bring a hat and/or sunscreen. A Positive Attitude - Plan on having fun while putting in a hard day's work. Remember the purpose for which you are volunteering - to build a quality home for a hard working family in need! Pay Attention | The best way to ensure safety for all workers is the be aware of your surroundings, at all times. You need to look out for your fellow volunteers like they are looking our for you. If you see a potentially dangerous situation, let the Site Supervisor or someone know immediately. It's also important to pay attention to the safety talk given at the beginning of your work day. Follow the Site Supervisor | On each job site, the Site Supervisor is the boss. There may be other ways to perform a specific tasks, but we do thing the Habitat way. Once the Site Supervisor makes a decision, please follow his/her directions.